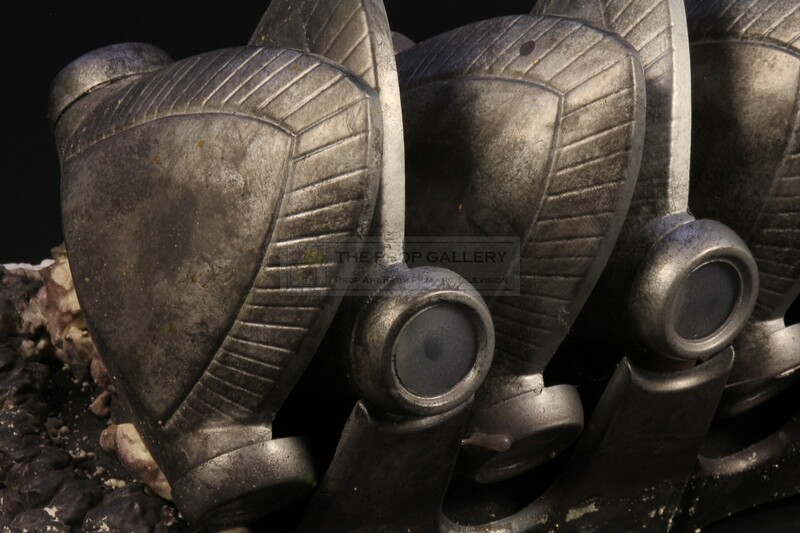 An original prop used in the production of the long running science fiction television series Doctor Who. 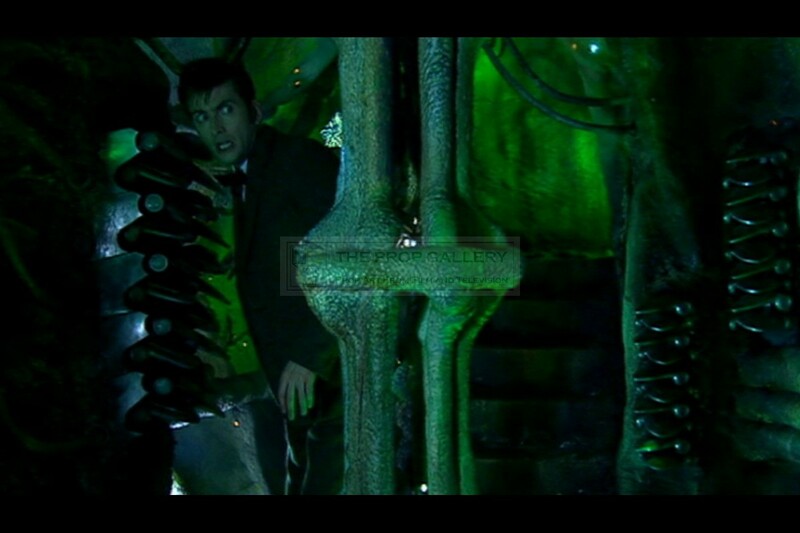 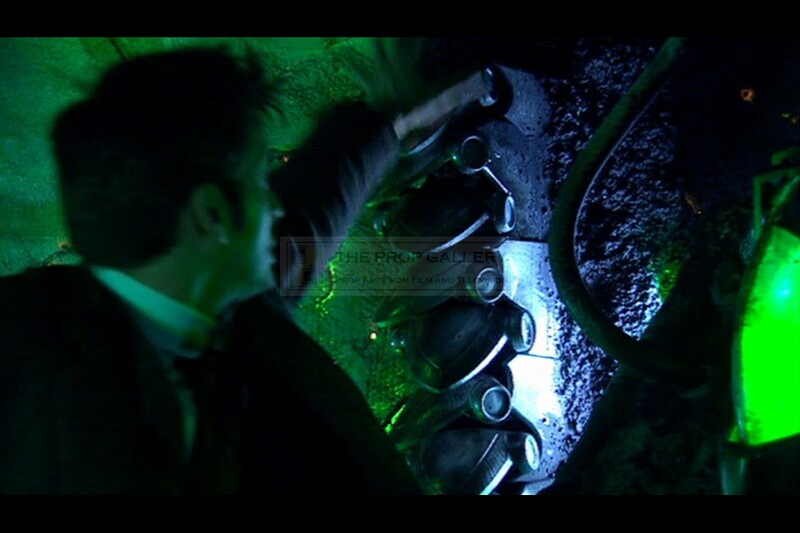 From the 2007 episode The Family of Blood a unit such as this can be seen used by The Doctor (David Tennant) as he activates the self destruct mechanism aboard the Family's ship. 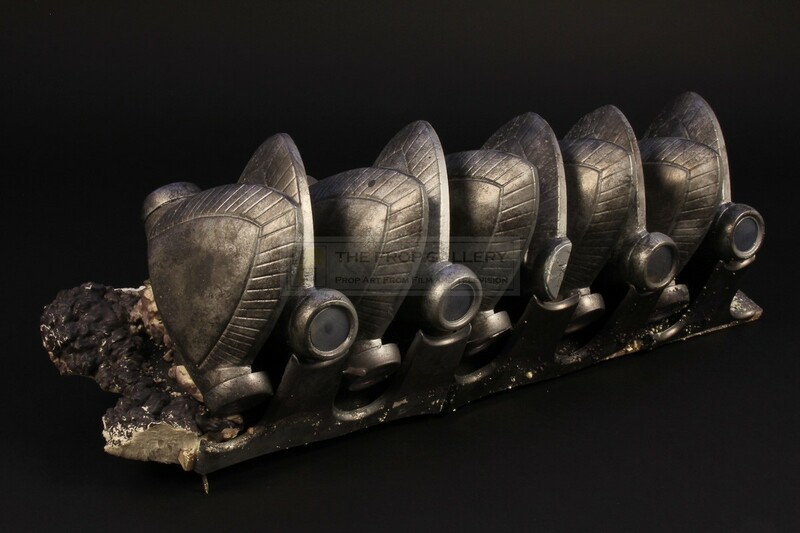 Constructed from various materials to include a back board of MDF with vacuum formed paddles secured with angle brackets which allow some degree of movement the paddles feature transparent end caps which would illuminate when the set was dressed with lights. 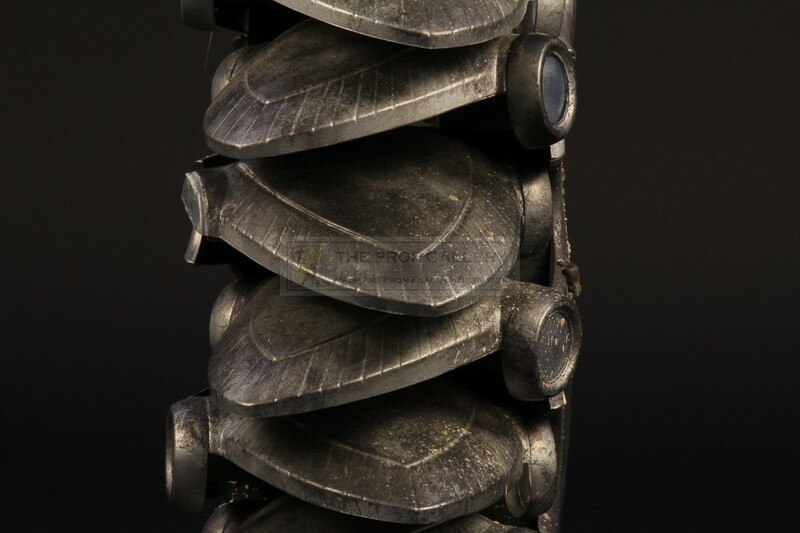 The prop was dressed with expanding foam which was painted after it was mounted on set with some of this now missing following its subsequent removal after filming. The self destruct mechanism measures an impressive 28 long and approximately 8" wide, it remains in generally excellent screen used condition with some minor missing parts and damage to the foam dressing as you would expect. 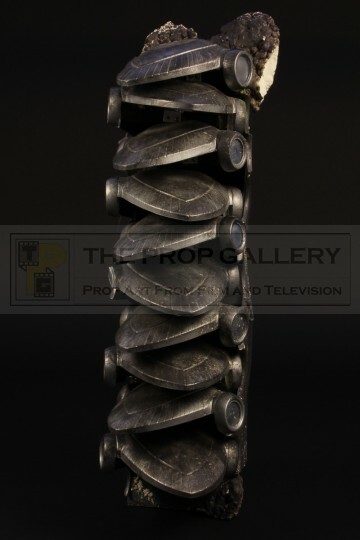 A sizeable and highly displayable artefact from a highly regarded serial of this cult science fiction series.